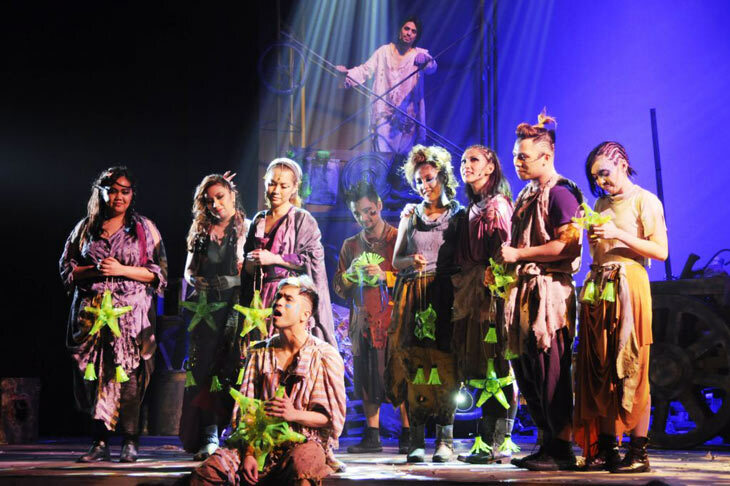 MANILA -- “Godspell,” the 1971 Broadway musical that has become high school drama guild favorite for its easy-listening score and simple staging requirements, is being given a highly professional polish in this new staging by MusicArtes Inc., which opened to standing ovations on Friday at the RCBC Plaza in Makati. Directed by the award-winning Dr. Anton Juan, the new production boasts a star-studded cast with some of the brightest stars in local musical theater, including Menchu Lauchengco-Yulo, Shiela Valderrama Martinez, OJ Mariano, Topper Fabregas, Red Concepcion, Caisa Borromeo and Jef Flores, fresh from his Gawad Buhay win as Best Actor in a Play (for his performance in “This is Our Youth”) as Jesus. “I wanted to retell the parables in connection to the issues that the world is facing: wars, terrorism, corruption, greed, human trafficking, migration and, how amidst all this rises the strength of man to confront these vision to reconstruct a better world,” Juan wrote in his director’s notes. In some instances, the videos provide a moving reminder of the evils of the world but at times, they also seem unnecessary and forced. Other attempts at updating the material are more successful, such as engaging the audience in games like charades and Pictionary, as they fit in with the musical’s overall whimsical nature. Given the familiarity of Filipinos with the musical’s religious messages, the main attraction of “Godspell” is the music by Stephen Schwartz, now more known as the composer of “Wicked.” As such, the real MVP of this production is musical director Ejay Yatco, whose brilliant rearrangements gave this 45-year-old chestnut a modern sound without losing the melodic charm of Schwartz’s ‘70s folk pop score. Among the standouts: his ukulele-flavored hipster version of “Learn Your Lessons Well” and the mellow uplift of “Beautiful City” which was transformed from a celebratory Up With People-type number into a slow, singer-songwriter confessional that inspires and delivers Juan’s message of hope with clarity. The music also plays to the strength of its ultra-talented cast, with each given his or her grand solo moment. 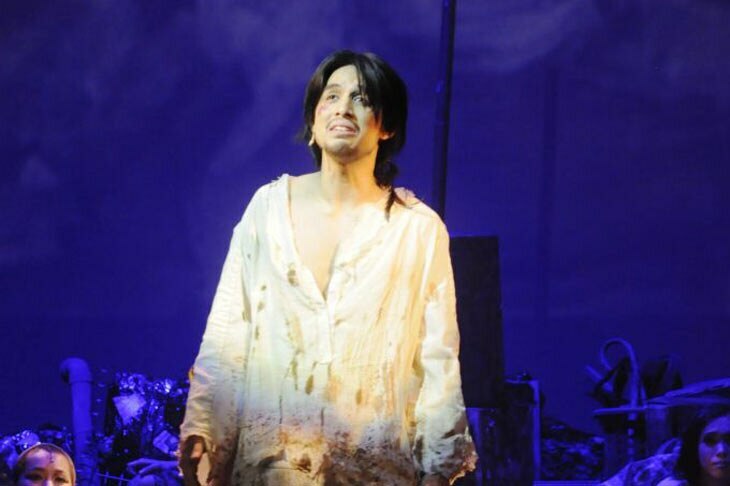 Valderrama Martinez gave a sweet and pure rendition of the play’s most popular song “Day by Day,” while Lauchengco-Yulo turned “By My Side” into a dramatic highlight. Fabregas gave “All Good Gifts” a more pop edge compared to the original’s classical styling. Joyful with some deeply moving moments, “Godspell” remains an entertaining refresher on the Bible but in this star-studded production, it is also a masterclass in musical theater performance. "Godspell" will have performances on June 18 (8 p.m.), June 19 (3:30 p.m.), June 24 (8 p.m.), June 25 (3:30 and 8 p.m.) and June 26 (3:30 p.m.) at the Carlos P. Romulo Auditorium of RCBC Plaza, Makati.